Global Ayurveda Village (GAV) project has been conceived, basing and interlinking the immense potential in the Industries and Health care service–sectors. The aim is to bench- mark the project with the Global Centers of traditional medicine and developing it as an Integrated Centre of Excellence in Ayurveda to overcome the challenges of this system of medicine in the path of Global Recognition. The project aims to provide an enabling infrastructure, which will address to the current gaps in the growth path of Ayurveda and enhance the opportunities with value added services and an integrated approach with all other medicinal system. Government of Kerala proposes to develop this project with a motive to transform Kerala as the World Capital of Ayurveda. Site-1 at Thonnakkal, Trivandrum in an area of 7.48 acres which is 33 kms from the airport and, Site-2 at Varkala, Trivandrum in an area of 63.25 acres which is 55 km from Trivandrum International Airport. Site-1 is situated at Thonnakkal, Trivandrum in an area of 7.48 acres that has already been leased out to M/s Samana Global Ayurvedic Village (Pvt.) ltd for implementing the first stage of Global Ayurveda Village. Site 2 is situated at Varkala in an area of 63.25 acres. The site at Varkala is blessed with natural greenery with coconut trees and water frontage of 1.25 Km which is one of the best tourist destination centre in the tourist map of India. The government has given clearance for the purchase of 33 acres of land. 51 land owners have consented to sell the land to Government in writing. Govt vide G.O (Rt) No. 1295/2018 dated 22/11/2018 has accorded sanction for utilization of Rs. 17 crores as cost of land acquisition at Ayiroor village in Varkala Taluk. 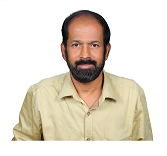 The major players in the Ayurveda sector are Kottakkal Arya Vaidya Sala, Kerala Ayurveda Pharmacy, Aluva and Nagarjuna.